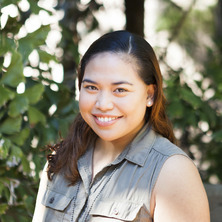 Angelique obtained her nursing qualifications in both The Philippines and Australia. She is currently a Registered Nurse under the Nursing and Midwifery Board of Australia. She has clinical nursing experience in General Medical & Surgical, Community, Gerontological, Maternal & Child, Intensive Care, and Intraoperative Nursing. She also has several years of experience in clinical teaching in nursing both in Australia and overseas. Angelique’s research interests and background include Nursing Education and Dementia Care.